WHAT'S WORKING RIGHT NOW in the world of SEO. If you don't know what to do to improve your websites rankings, THIS IS FOR YOU! MASSIVELY increased visitor numbers in 6 MONTHS OR LESS! These results are typical NOT the exception with this proven SEO strategy. Read on and we'll show you how we do it. 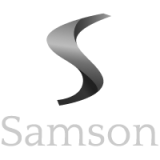 We're a marketing & website design agency with over 10 years experience building businesses online throughout the UK using SEO and paid search marketing. In the last decade we've helped 100's of businesses rise to the top of Google and dominate their competition. We're in the business of growing our clients businesses with tried and tested marketing strategies. Exactly what is working RIGHT NOW in SEO. The exact method we use to rank websites. How to replicate it for your business. The 3 things Google is looking for from you. Examples in all industries that this works for. This Simple SEO Strategy Starts Working in Less Than 90 DAYS. New Sites, Old Established Sites & Everything In Between. Google is a robot, as we all know it's just a computer algorithm programmed by humans to sort through the trillions of web pages on the internet and return what it thinks you are looking for. The vast majority of the time it gets it spot on which is why we all use it. But how does it know what pages are better than others and which ones we're most likely to be interested in? Well the answer is, wait for it, nobody actually knows 100%. Not even the engineers at Google as no one engineer knows enough of the algorithm to give it away. They're not silly at Google you know. However, based on data supplied by people like SEM Rush, aHrefs and Majestic, (which is literally billions of pages of data) we DO KNOW what the websites on page 1 all have in common. These key "ranking factors" as they are referred to in the SEO world have not changed much over the years. You may already know it but here they are just to clarify and make sure we're on the same page. Google works on a kind of ranking system for web pages. We call it domain authority and page authority, and it's basically just a number. The higher your number the more important your site and pages are in Googles eyes. So how do you increase your websites authority? Domain authority is gained by accumulating links from other websites that point to your website. It's not the only thing that boosts your authority, and there are good links and bad, but we know they play a big part. A huge website with lots of content and few links will find it hard to rank for anything. Google needs to know what your website is about. Google ranks pages individually and the more you have on a subject the more informative (authoritative) you are. It determines this by looking at your pages and reading what they say. The quality and quantity matters a great deal so you can't get away with a 5 page website and expect to rank No.1 for anything in 2018. So now we know what Google needs, let's take a look at the strategy we use to please it. Take a look at a few websites using this 2018 SEO strategy and what they have achieved! 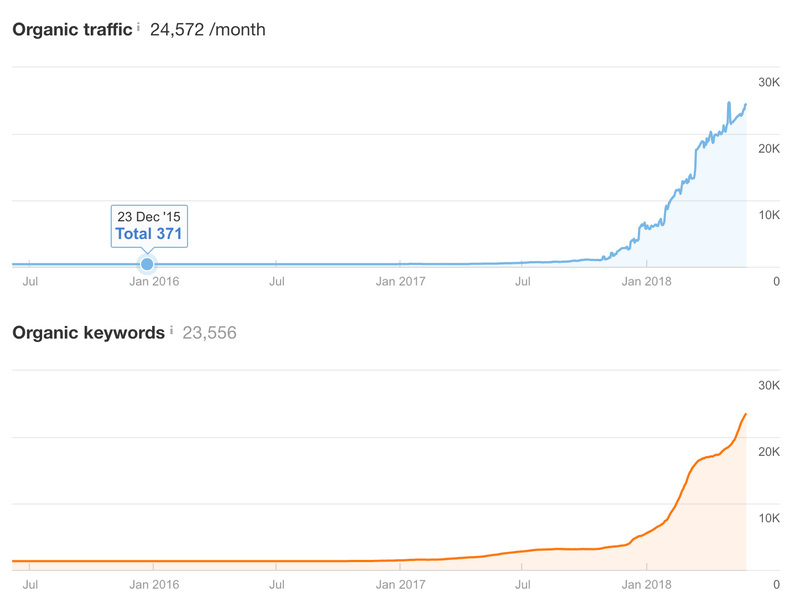 "Your website is not getting traffic and high rankings on Google because you are missing one or more of the 3 key rankings factors"
Which are you missing though? The first step in our strategy is to determine WHY your website is not getting the traffic and rankings on Google that you desire. This part is really easy to achieve using a few online tools that are free to use. We need to determine three key factors (scores if you like) for your website and your main competitors. We're assuming you know who your competitors are but if not they are the websites that rank on page 1 of Google for all the big key search terms you want to rank your website for. We want to beat them on all three of these key areas. What is your domain authority vs the competition? Head over to moz.com and use the open site explorer to find out your websites domain authority. This will be a score between 1 and 100. Then put in the websites that rank on page 1 of Google for the search terms you want to be found for. So are you a 1 or a 100? What does your websites backlink profile look like? On that Moz results page you saw a backlinks count too. Backlinks are a gauge used by Google to determine authority. There are good links and bad, but for now let's just concentrate on numbers. You want backlinks and lots of them. Who has the most links? How much authoritative content do you have? Now head over to xml sitemaps and put in your domain and your competitors domains there too. This will give you a count of how many pages your site has compared to the competition. Bigger sites are more authoritative in Googles eyes. Have you got enough content? So are you authoritative enough? Do you have enough content on your website? Do you have enough of those backlinks? "Lets get those bits you're missing sorted and start getting all that lovely traffic for your website." First though let's pick the right battles! How we can increase website visitor numbers FAST! You probably have a huge list of keywords you want to be found for. If not the last few section will probably be quite hard for you to take action on! 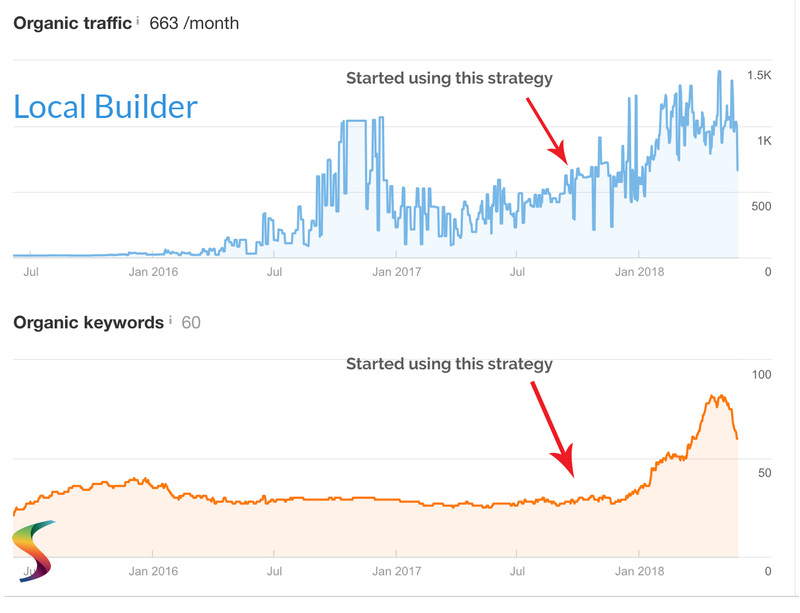 If your keyword list is sorted by highest volume of traffic first then you're doing SEO all wrong, it's how we used to do SEO back in the old days when it was easy but now that approach is a quick way to spend a lot of money and get nowhere. What we should be doing is finding the keywords which we can get traffic for quickly. If we're going to invest money in SEO (which we need to do) then we need to make sure we get a return quickly and not in 12 months time. 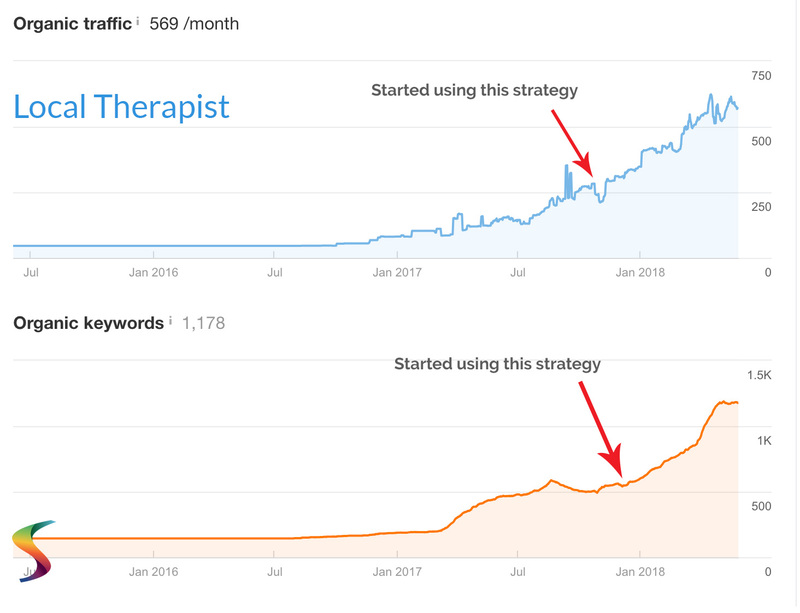 If you target the super high traffic keywords (usually 1 or 2 word search terms) you'll be fighting battles that may take up to 2 years to win or maybe just can't be won at all. The "easy wins analysis" will find the low hanging fruit which we can rank on page 1 for quickly and start our website traffic chart turning up instead of flat-lining. It's quite a complex task but only needs to be done once, like our gap analysis in step 1. We have a complete blog post on how to do an easy win analysis already written for you so check out this post after reading this page (link opens up in a new tab) and we'll continue with the strategy for you. Here is a brief overview of how the easy win analysis works. First we need a list of keywords that are relevant to our business and our potential customers are searching for. We can get these through a number of resources and we need to know what our competitors are ranking for too. Now we find the low hanging fruit. Once we have our list we need to find out where we currently rank using rank tracking software. This tells us which battles we can win easily in the war against our competitors on Google! Now we're ready for battle. We start our SEO campaign strategy with the keywords that are already ranking high on Google without us doing any SEO at all. These will be easy to push up to page 1 in the search results, getting instant traffic for our website. We now know what our website is missing and what keywords we want to target. Time to get to get our the work done to get our traffic graphs looking like these! "Time to fill the gaps our website has and get those rankings and visitor numbers up." Build authority in the eyes of Google and you'll start to rank and get traffic. Now we get to the fun part which is executing our SEO strategy. 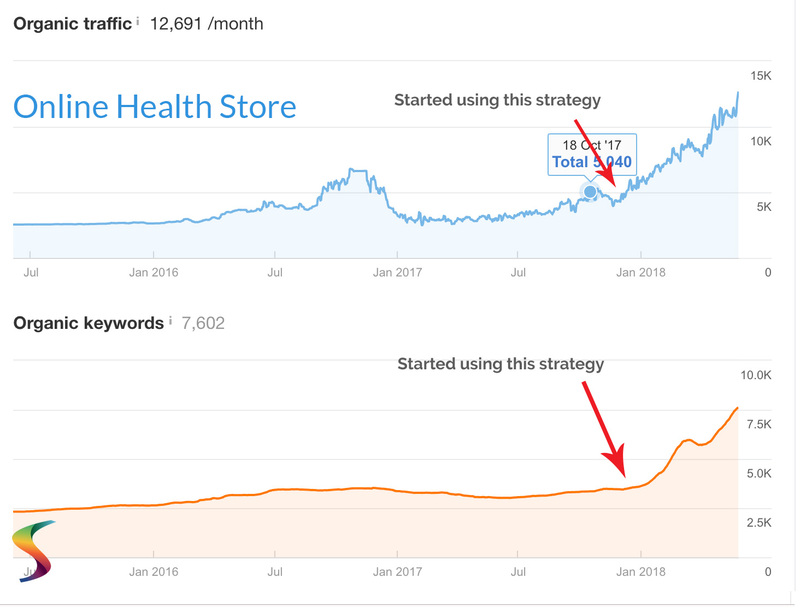 Every one of the websites whose keyword ranking and organic visitor number charts we've shown on this page got those results following this simple strategy. There are loads more further down the page too so read on. As we established earlier your website will be missing one or both of 2 key areas that Google uses to determine your websites domain authority. SEO optimised content about the subject matter of your website, and various types of backlinks. Both show Google your site is an authority and are needed to get visitors from Google. Adding these two areas to your website will increase your domain authority, and your site will suddenly, at some point in the near future, just jump the rankings and start getting lots of new visitors. These visitors will come from the high rankings your site will achieve on Google. 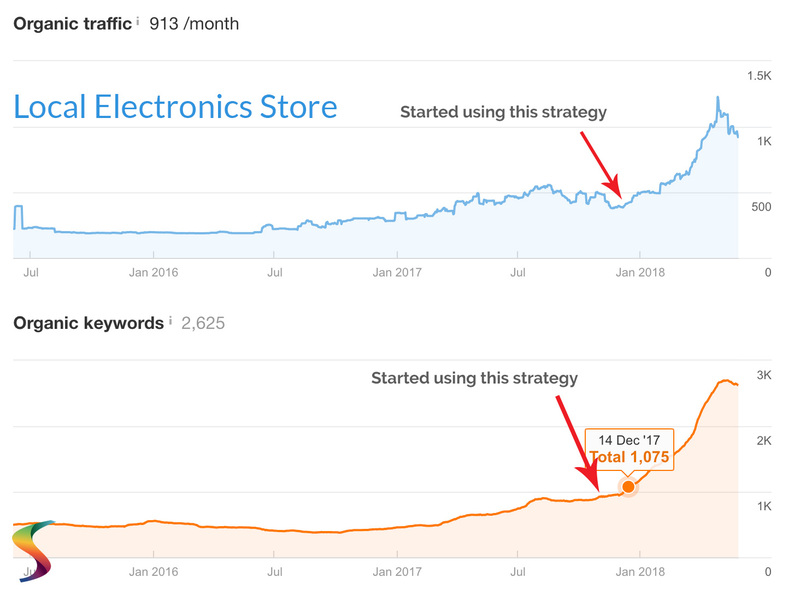 We often see very little happen in the first 1-2 months and then at some point (usually around 90-120 days) it all starts to kick in with Google. It all depends on how far behind the competition you are, how much content you have currently and how many links your website already has established. There are no fixed timescales for success but what we do know is this strategy works time and again as we've shown here. So lets look at what you need from a content perspective and what types of links you need gain for your website too. This bits fairly easy for most businesses but is time consuming to achieve. What you need is fresh content added to your website on a regular basis. This is usually in the form of a blog but can also be a news section if you have enough to say about news in your industry. The content should be drip fed to your site (add 1 new piece of content every few days to a week) so Google sees you are a regular publisher. Google is looking for two things from you, a good quantity of content and regular publishing of the content. Google loves sites that add new content because that's what authority sites do. Think about all the top publishers on the web like newspapers and the top industry specific blogs and news sites. these sites all rank high for 1000's of search terms and the one thing they have in common is that they publish multiple articles on a daily basis. Now if you can do that then you'll be ranking very fast, but for most businesses it's not necessary or really feasible to publish multiple times a day. Aim to add 4-8 new pieces of content per month to your website. The more you can add the more traffic and rankings you'll achieve and the faster it will all happen. Your articles need to be a minimum of 500 words at least and ideally 1000 words or more. Google likes pages with lots of words as it makes it easier to establish what the page is talking about. The more words the better and the ideal would be to always have 1000-2000 words on each page of content. Authority content (how to guides and informative articles) are never 200-300 words. Google knows this as you can't give a detailed explanation of anything in 2-3 paragraphs! Links should be added too. Every article you publish needs to have at least 1-2 links to a page on your own site and 2-3 links out to other websites too. The reason for this is Google knows informative, authoritative websites link out to other content. It's hard to write something informative without linking to relevant sources of information, all the top publishers do it and you need to too. The other reason for this is that Googles algorithm will follow these links to see where they go and what the content on the pages you are linking to is about. This talks about paid search marketing. We have links in there which go to other pages on our website about paid search marketing (PPC) and external links to other authority sites that also have articles about PPC (paid search marketing). Google now knows that what we're talking about is backed up by links to other pages on the web about the same subject. This is key to successful SEO optimised content writing and MAKES ALL THE DIFFERENCE and is often where people go wrong. If you have tried adding content and found it's got you nowhere it's likely because Google couldn't verify what the content was about. You can't just write a price of content and rank. These articles need to be backed up in Googles eyes by evidence you know what you are talking about. Links to other pages on your site and others do just that. Don't be scared that people will disappear off via these links, they need to open in a new tab and if they go, they go. We're adding content to show Google we're an authority and the main pages of our site will benefit from this, we're not looking for this page to be the one we necessarily rank for on our main search terms. Remember the reason we're doing this is for SEO purposes and to show Google we're an authority on a subject. Each piece of content you write should have lots of the keywords we identified in our research scattered throughout. Don't overdo it and make sure it's all human readable but if you want to be found for something like "paid search marketing" and related keywords then those words need to be in the content. You don't need to write "paid search marketing" all the time though. Just make sure the words "paid", "search" and "marketing" appear somewhere a few times. Google hates over-optimised content that's blatantly targeting a keyword over and over again by repeating it. It knows people do it and it actually penalises you if you do. So in our case we can write something like "we're experts at helping people who are marketing their websites using paid methods such as Facebook and search engine ads". See what we did there? Not got time to do it? Need some help? We can write fresh articles and publish them direct to your site for you from just £42.50 per article (based on you taking 8 per month). You need two types of links pointing to your website from other sites around the web. One type we call "in-content links" which are designed to show Google you have a good quantity of links. The other are "high authority backlinks" and these are the power behind the strategy. With all links the actual anchor text is now less important and we use natural and generic anchor text everywhere we can. Anchor text in case you don't know (we're sure you do though) is the actual text that is displayed on a link on a website. Diverse, generic anchor text is usually something like click here, www.mywebsiteaddress.com, the best marketing companies or find out more. In the old days of SEO we used to try and use the actual keywords we wanted to rank for in the anchor text but that no longer has any real evidence it makes a difference. For our campaigns research has shown it actually slows progress down. Lets take a look at the two types of links we use in more detail. In-content links are designed to get you two things, a good quantity of links in relevant content so Google knows what your site is about, and a diverse anchor text profile. The latter is important as having too many links saying the same thing is a big red flag to Google and looks totally unnatural. Most sites we see that have been penalised by Google often have 30-50% of their anchor text saying the same thing over and over again. In-content links are built on free website building platforms like Wordpress or blogger.com where you can start a free blog and write content. Anywhere you can create content is fine and these are not powerful links we're getting here, they are purely to make up the numbers quickly. These new blogs we create are based around the subject matter of your site and have multiple articles published with links to your website in them. Very similar to the content we're publishing on our own sites in fact. The SEO industry calls them web 2.0 links and they are there purely to show Google there are links in quantity and around your subject matter pointing to your website. This is the million dollar question! There is no right answer but the more the better. Go back to out competitive gap analysis we did earlier. How many links do your competitors have pointing to their websites? If they have 500 links then we're going to need quite a few. If they have 50 we can have that number built in a couple of months easily. Don't worry too much about the numbers. The quality of a link is much more important which brings us nicely onto the next type of link we'll be getting. You also need powerful links from sites that Google already trusts and ranks high in search results. These act as a kind of vote of confidence in Googles eyes. Remember that domain authority thing we spoke about earlier? Well the powerful links that really push a sites authority up are links from other sites that are already an authority. You see if an authority site (say one with a domain authority of 30) writes an article and links to you then Google takes notice of this. They are an authority on a subject and they are referring to you as an authority by linking to you. The more of these you have the more authority you build up in google eyes. All of a sudden your own content starts to rank higher in the search results as if Google flicked a switch and you are now the most important thing on the web. 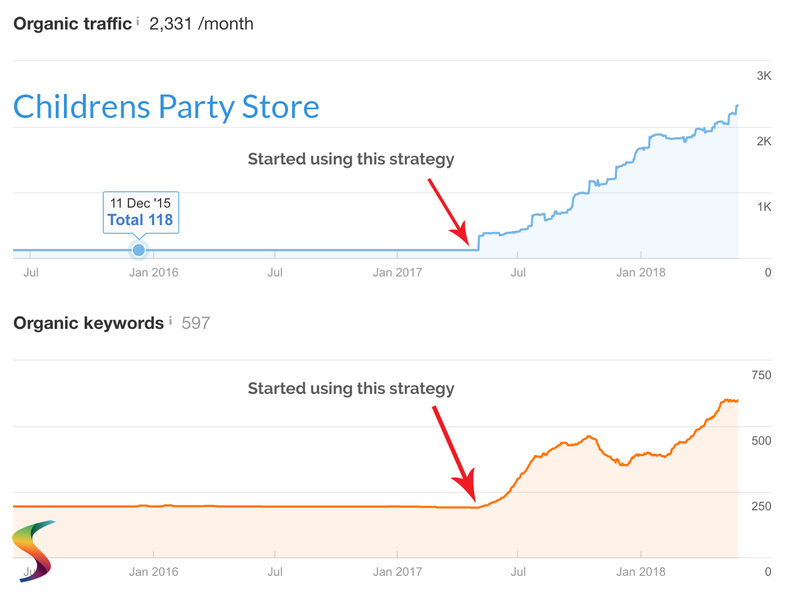 This is why you see flat spots on our charts monitoring rankings and keywords and then a sudden spike higher and a continuation of the growth. Once you are an authority pretty much anything you write on your website will get traction with Google and start to rank without you needing to do anything at all. These links are harder to achieve than just creating blogs all over the web. Most of these links are achieved through what is known in the industry as "blogger outreach" or "guest posting". The way it works is simple. You find authority websites that may be interested in receiving content about your subject matter. Do this by searching for various keywords about your industry and then contact the sites that rank in the first 1-3 pages. If they rank high they are an authority. Contact the ones that have blogs/news sections and ask if they would accept some fresh new content you wrote that their readers may be interested in. One thing blog and website owners always want is content and you'll be amazed how many will open their arms to you. Get a 500-1000 word article written and give it to them (with your link included in the copy) and when they publish it you've got your high authority backlink. Rinse and repeat the above two link building strategies and you're done. We can create all these links for you. You just tell us how many you want and we'll get the work done for you every month without you having to lift a finger. Want to talk about SEO? Let us help you get your website working harder for your business. We can get these results for your website with our content creation and link building services. Talk to us today and let's get your website working for your business.